TBILISI, DFWatch–The exam authority in Georgia has suggested introducing a new test in ‘civic equality’ as part of the entrance exams for university studies. The new test has been proposed by the National Exam Center against the background of a recent discussion about domestic violence and wife killings. Maia Miminoshvili, head of the center, explained that each university must decide whether to include the new ‘civic equality’ test, which will also need approval by the Education Ministry. The new test will not be compulsory, but become one of four optional subjects that must be passed after graduating from secondary school. 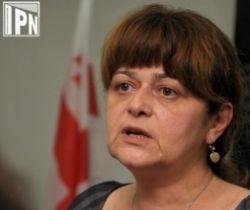 Miminoshvili told Interpressnews that if none of the universities decides to introduce the new test it won’t be on the list of subjects for the national exams. Universities will have time to consider the option until mid-December. Universities may select ‘civic equality’ as a compulsory subject to pass at certain faculties and in that case it will be listed as one of the exam subjects. Civic equality is currently a compulsory subject in ninth and tenth grade. It is optional in eleventh and twelfth grade, while it is integrated with other subjects in lower classes. Georgian literature and grammar, logic test and foreign language tests are compulsory subjects to pass in the national exams. The fourth test is optional and entrants have a choice between eight subjects.